Mike's Redskins Blog | Washington Redskins: History to the Present. Please also check out my autism site at www.coachmike.net, my photography site at www.mikefrandsen.net, and my blog at www.mikefrandsen.org. Please also see www.mikeneedsakidney.com. Chris Cooley, in an interview with Examiner.com, said Kirk Cousins should start for the Redskins and that Robert Griffin III still has a lot to improve on – awareness in the pocket, decisiveness, and anticipating throws. See the article here: http://www.examiner.com/article/chris-cooley-cousins-mccoy-may-give-redskins-better-chance-to-win-than-rg3. This Redskins name change controversy is a fire that is flamed by the media. It’s full of propaganda. This is what I wrote in the comments section about Steve Wulf’s ESPN.com article, “Why use of Native American nicknames is an obvious affront.” However, after I wrote the comments below, ESPN hid my comments from view. Wulf basically lied in the article to get his point across. See below. “There are several problems with this article, which is par for the course for ESPN.com, Steve Wulf. It is NOT accurate that Art Monk and London Fletcher have advocated a name change as you imply when you say, “Despite pleas from such former team greats as Art Monk and London Fletcher…” Saying it should be up for debate in no way whatsoever is synonymous with saying that they have made “pleas.” Please. It is NOT accurate that “Barack Obama, said the name probably should be changed.” Obama said it should be considered. There is a big difference. Will Shanahan be fired as Redskins coach? I personally think he’ll stay barring a huge collapse. But it has to be brought up with a likely third losing season in four years. See my article at Bleacher Report. Posted in Uncategorized | Comments Off on Will Shanahan be fired as Redskins coach? This little jerk Adam Schefter is giving the Redskins the short shrift again. First he rails against Art Monk’s candidacy for the Hall of Fame. Now he lists four great offenses in the context of the Denver Broncos averaging 44 points a game this year. But what about the 1983 Redskins, who averaged 33.8 ppg, more than the 1999 Rams. And the Skins did it in an era that was much less prolific in putting points on the board. They would have put up 40 a game today. Let’s face it – ESPN discounts all of the D.C. area teams. 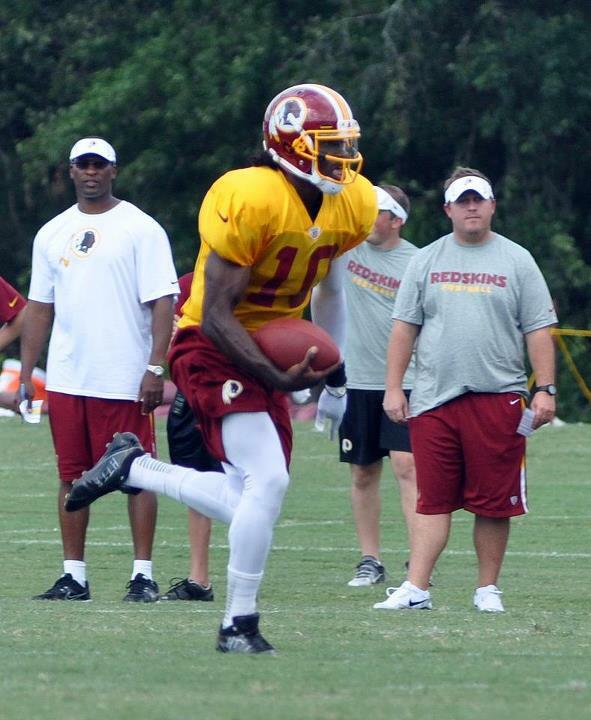 Robert Griffin III in training camp in 2012. Photo by Bill Bride. The Redskins are hosting the Philadelphia Eagles tonight in the Monday Night Football season-opener. Robert Griffin III is about to take the field. Michael Vick just threw a pass that was ruled a backwards pass. Ryan Kerrigan knocked it down and DeAngelo Hall brought it back for a TD. Replays showed that the pass actually appeared to go slightly forward, but there wasn’t enough evidence on replay to overturn the call. Chip Kelly’s Eagles offense quickly moved down the field before the turnover. It’s 7-3 Redskins in the first quarter. In my latest article on Bleacher Report, I predict the Redskins will go 11-5 despite the fact that of the last 10 teams to go 10-6 one year after a losing season, only one of those teams went on to have a winning season after their 10-6 season. Click here to read the article (http://bleacherreport.com/articles/1767742-robert-griffin-iii-washington-redskins-must-buck-history-to-make-playoffs-again). This article was written Aug. 3, 2013 on Examiner.com. Art Monk delivers his Hall of Fame induction speech in 2008. Photo by Mike Frandsen. On this weekend in 2008, former Washington Redskins wide receiver Art Monk finally made it to the Pro Football Hall of Fame after an eight-year wait, when he was enshrined alongside former teammate Darrell Green. Monk’s prolific career was worthy of him making the Hall the first year he was eligible, but for Redskins fans his induction was better late than never. At one time, Monk held the NFL record for most catches in a career, most consecutive games with a catch, and most receptions in a season. Monk was an integral part of four Redskins Super Bowl teams, three of which won – after the 1982, 1987 and 1991 seasons. Monk’s numbers stack up favorably against all the wide receivers in the Hall of Fame. Monk was nicknamed “Big Money” for his ability to make the critical catches in huge games. 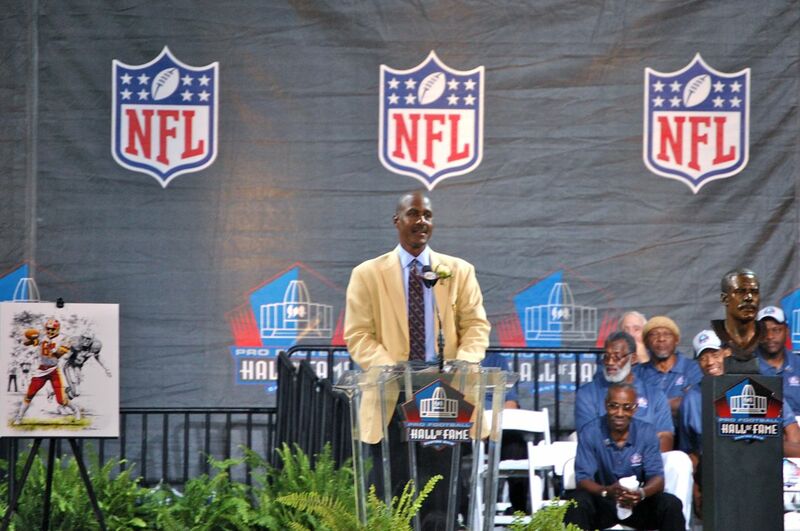 The 2008 induction ceremony in Canton, Ohio was a long-awaited celebration for Redskins fans. Monk and Green became the first players of the 1991 Washington Redskins Super Bowl-winning team to make it to the Hall of Fame. Guard Russ Grimm was also inducted into the Hall in 2010. To see the entire article, click here: http://www.examiner.com/article/five-years-ago-redskins-art-monk-darrell-green-inducted-hall-of-fame. As Baltimore Ravens linebacker Ray Lewis prepares to play in Super Bowl XLVII Sunday against the San Francisco 49ers, questions continue to arise about his legacy and his connection to a double murder that took place 13 years ago in Atlanta. One of Lewis’ co-defendants in the double murder trial, Reginald Oakley, said in an interview with Examiner.com Thursday that Lewis didn’t testify about everything he knew about the fatal fight, and tried to shift suspicion onto Oakley after the killings. Still, Oakley says his only problem with Lewis is that the future Hall of Famer blamed Oakley for instigating the fight. On January 31, 2000, Richard Lollar and Jacinth Baker were stabbed to death during a fight in the early morning hours after Super Bowl XXXIV. The killings occurred after an argument between at least one person from the victims’ group of friends and at least one member of Lewis’ entourage. Lewis and friends Oakley and Joseph Sweeting were indicted on murder charges 11 days after the killings. Later, after multiple witnesses changed their testimony from what they originally told police, the prosecution made a deal with Lewis, dropping the murder charges against him in exchange for testifying against Oakley and Sweeting. However, both men were acquitted after Lewis’ testimony. Only Lewis was convicted of anything – obstruction of justice – for initially lying to authorities and withholding information. Lewis was placed on a year of probation by the court and fined $250,000 by the NFL. He later paid settlements to family members of both Lollar and Baker. Lollar and Baker had moved from Akron, Ohio to Atlanta to look for a better life. Several of their friends from Ohio were leaving the Cobalt Lounge around the same time Lewis and his friends walked out of the club. According to a CNN transcript of court testimony, Lewis admitted telling his friends and the limousine driver to “Keep your mouth shut” as the limo drove away from the scene of the crime. Lewis was concerned about the incident impacting his football career. Lewis gave a false statement to police, denying knowing the people in his limousine, which sped away after the fight. Lewis also withheld information that some of the people in his limousine were involved in the brawl. Lewis, who was named MVP of the Super Bowl one year after the killings, became an NFL icon during his 17-year career. The future Hall of Famer is surely the most famous defensive player in the league. He is celebrated by players, fans and media for his football ability and unabashedly emotional personality. Though Lewis is portrayed and perceived as a mythic hero figure by many, others believe his career is tarnished for his role in what happened 13 years ago. Once again, sorry for including Ravens information on my Redskins blog. It won’t happen again! Is Ray Lewis’ legacy tarnished because of his role in covering up murders 13 years ago? When Baltimore Ravens linebacker Ray Lewis walks off the field after Super Bowl XLVII against the San Francisco 49ers in New Orleans Feb. 3, he will leave a legacy as one of the greatest players of all time. Off the field, however, questions remain about the 13-time Pro Bowl selection, Super Bowl XXXV MVP, and future Hall of Famer despite numerous charitable works and a reputation for being an inspiration to his team. In the early morning hours of Jan. 31, 2000 after Super Bowl XXXIV in Atlanta, two men, Richard Lollar and Jacinth Baker, died of stab wounds after a fight with members of Lewis’ entourage outside a nightclub. Lewis and two friends, Reginald Oakley and Joseph Sweeting, were charged with murder. Lewis later agreed to plead guilty to obstruction of justice in exchange for the prosecution dropping murder charges against him. As part of the deal, Lewis testified against Oakley and Sweeting, who were subsequently acquitted of murder charges. Lewis and a group of friends had been celebrating at a nightclub in Atlanta after the Super Bowl between the St. Louis Rams and Tennessee Titans. In interviews during the past week with Examiner.com, three people with close ties to the case gave varying accounts of Lewis, the incident, and its aftermath. Lewis’ lawyer during the trial, Ed Garland, says Lewis was 100 percent innocent of any criminal acts relating to the deaths, should have never been charged, and has handled himself impeccably since the trial. Oakley, 44, who was charged and acquitted in the murders, says he’s ok with Lewis except for the fact that Lewis testified that Oakley started the melee. Oakley said the fight started after an argument between Lewis and someone from the other group. And Priscilla Lollar, the mother of Richard Lollar, who lost his life that night, says Lewis is responsible for the death of her son. Lewis could not be reached for comment for this article. Lewis lied to police the morning after the murders. He denied knowing the people in his limousine, which sped away after the fight. Lewis also withheld information that some of people in his limousine were involved in the brawl. Lewis also told friends to “Keep your mouth shut” about the incident. Investigators and prosecutors bungled the case, failing to interview all the witnesses after the incident, while multiple witnesses changed their stories from what they initially told police to what they ultimately testified about on the stand. No one was convicted in the murders. One of those witnesses whose story changed at least once from the time he was interviewed by investigators to the time he testified in court was limousine driver Duane Fassett. Click here to view a brief video of his testimony. After the trial, Lewis, who was in the middle of a four-year, $26 million contract, was placed on probation for a year and fined $250,000 by the NFL. Lewis went from facing a possible life sentence in prison to being named MVP of Super Bowl XXXV a year later when the Ravens defeated the New York Giants, 34-7. Lewis would later pay settlements to Baker’s grandmother and Lollar’s fiancée. Ray Lewis: Hero or Something Else? Lewis also has a keen eye for the camera and has craftily promoted his image while becoming the most marketable defensive player in the NFL. He is a TV commercial icon, with endorsements for EA Sports, Procter & Gamble, Under Armour, and Visa among others. His number 52 jersey is a top seller. Lewis also commands a high sum for motivational speeches. During the national anthem prior to the AFC title game, Lewis stared forward intensely. When Lewis was shown on TV again, he could be seen emotionally mouthing the words, “Thank you father,” over and over and looking up toward the sky. Lewis’ inspirational, charismatic and passionate personality has helped make him into a perceived hero who is universally praised and has rarely been criticized by members of the TV, radio, print and web media over the past decade. Broadcasters, NFL players, and many fans heap admiration upon Lewis as both a player and a person. The NFL’s website features articles that speak glowingly of the Ravens’ star, and a search of his name on NFL.com resulted in at least 16 articles written in the past week about Lewis just on that website. Lewis reportedly negotiated with multiple TV networks to provide commentary on the NFL after his retirement. ESPN has offered Lewis a contract to work on its NFL programming beginning this summer, according to Sports Illustrated. Even NFL commissioner Roger Goodell says he may rely on Lewis for advice when his playing days are over after Lewis’ career, which ends after the Super Bowl. Lewis has become one of the faces of the NFL. It has been a remarkable transformation for someone who was once charged with murder and admitted to lying to authorities the morning after the incident. 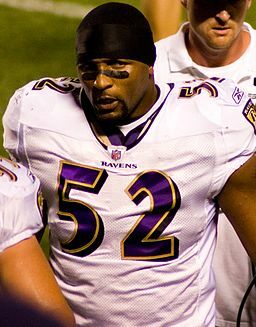 To read the rest of my article on Examiner.com, (http://www.examiner.com/article/ray-lewis-legacy-questions-remain-from-murder-trial-for-baltimore-ravens-star) including interviews with Priscilla Lollar, Reginald Oakley, and Ed Garland, please click here. P.S. Sorry for including a Ravens article on this Redskins blog! Posted in Uncategorized | Comments Off on Is Ray Lewis’ legacy tarnished because of his role in covering up murders 13 years ago? Robert Griffin III needs to play better than he did against Dallas for the Redskins to upset the Seattle Seahawks Sunday at FedEx Field. To accomplish this, the Redskins’ staff should be ready to call plays that emphasize the short passing game, and utilize the long-lost Chris Cooley. To see the complete article, click here for Examiner.com and here for Bleacher Report. Robert Griffin III. Photo by Bill Bride. The Redskins-Cowboys rivalry may be back. Robert Griffin III and Tony Romo may add themselves to the list of notable players in what was once the most heated rivalry in the NFL. George Allen. Joe Gibbs. Joe Theismann. John Riggins. Dexter Manley. Diron Talbert. Roger Staubach. Randy White. Harvey Martin. To see my list of the best 20 games in the Washington-Dallas rivalry, click below. The first three are obvious – the two NFC Championship games (1972 and 1982) that the Redskins won to advance to the Super Bowl, and the devastating, year-ending 1979 loss to Dallas that kept the Redskins out of the playoffs.